~ Customized Nutrient Management: Hydroponics allows the indoor gardener to adjust the nutrient content of their growing environment at will. By making such adjustments, you can control nutrients for any part of your growing area, to produce the effects you want, from strong foliage growth to flowering and fruiting on your schedule. We can supply plant nutrients and additives to handle your precise needs. 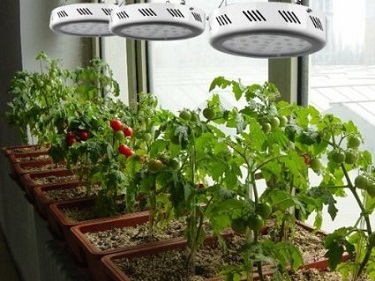 ~ Temperature: Since HID grow lights produce ample amounts of heat, you can use Thermostats in conjunction with your ventilation and duct system to manage grow area temperature as needed. ~ CO2 Control: Plants require CO2 throughout their productive lives. Increasing CO2 levels in your growing environment can boost plant growth. We offer a variety of CO2 Generators to indoor gardeners, from CO2 monitoring and testing equipment to CO2 Boost Buckets, and accessories for CO2 tanks. ~ Dark Rooms for Total Control: When you want total control of your growing environment, consider growing in one of our Dark Rooms. Available in a wide range of sizes, these enclosed, tent-like structures keep your growing environment controlled, from lighting to humidity and even high CO2 inside the dark room, creating a closed environment that does not intrude into your lifestyle. Its the ultimate in privacy and environmental control. ~ Controlling Your Own Environment: Gardening indoors can impact your personal lifestyle. Gardening odors are a big part of this impact. Our air purification products can help minimize the problem and keep garden odors from becoming a nuisance and your garden from giving itself away to your guests.